This image, taken by the European Southern Observatory's (ESO) La Silla Observatory shows the gas cloud Sharpless 2-292, part of the stellar nursery nicknamed the Seagull Nebula. This image shows the 'head' of the Seagull Nebula. 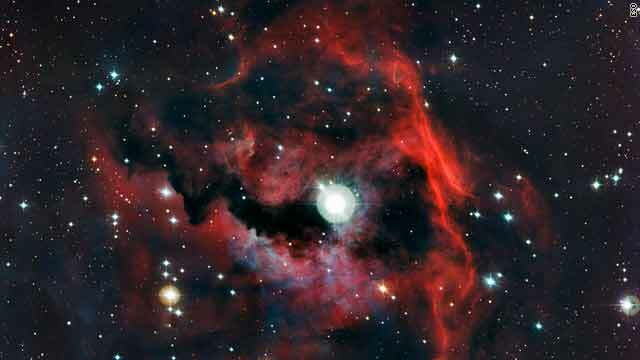 The overall nebula spans about 100 light-years, and is about 3700 light-years from Earth. Its hard to fathom 3700 light years.